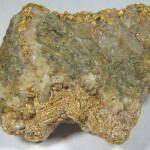 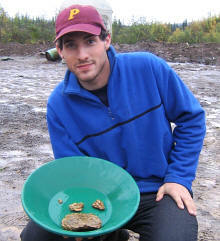 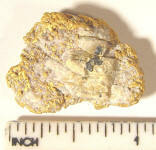 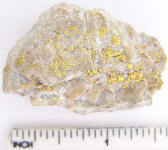 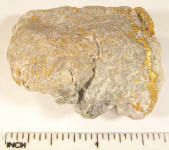 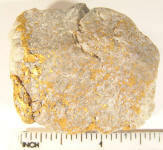 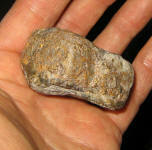 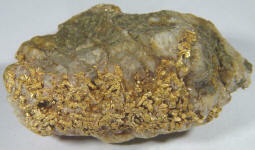 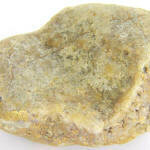 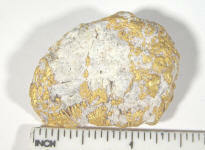 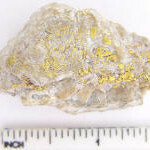 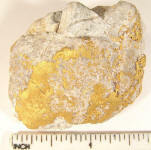 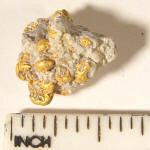 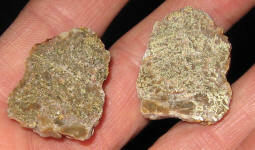 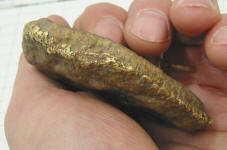 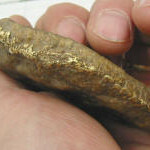 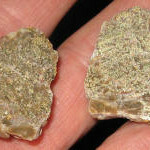 This page provides a close-up look at some of the gold/quartz specimens found at Moore Creek, Alaska. 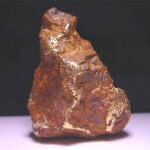 The specimens are usually heavily iron stained when found but most of these specimens have been cleaned in oxalic acid to remove the staining. 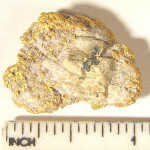 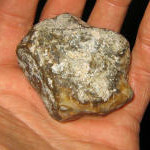 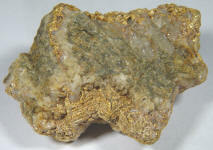 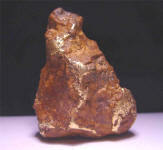 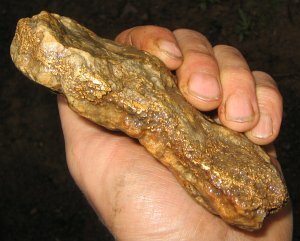 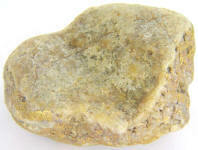 Almost all specimens have signs of the enclosing monzonite source rock, but the last specimen shown appears to be from the lava rock surrounding the monzonite intrusive, indicating the veins originated in the monzonite but some intruded into the surrounding lavas. 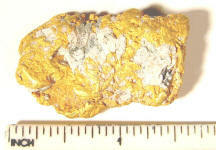 Click on all photos to see larger image. 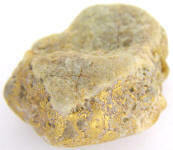 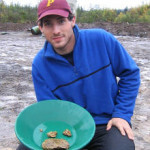 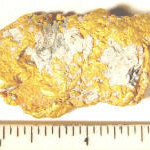 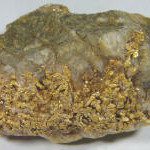 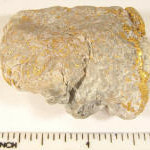 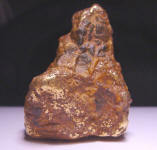 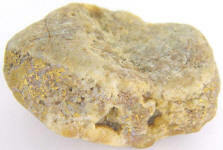 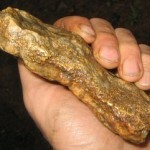 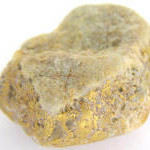 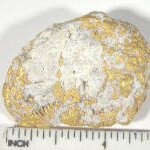 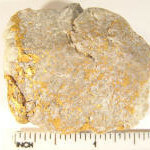 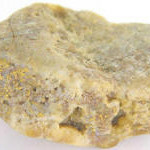 5.13 Troy Ounce (159.5 Gram) (Side) Specific gravity testing reveals that it consists of about 2.94 ounces of quartz containing approximately 2.19 ounces of gold/silver.